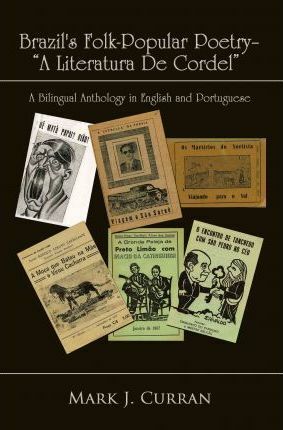 Brazil's folk-popular poetry - "a literatura de cordel," - is perhaps the most important and vibrant variant of poetry of the masses in western culture. But not many people in the English-speaking world know much about it. Written by one of the most educated scholars on the subject, Brazil's Folk-Popular Poetry - A Literatura De Cordel goes back to the craft's origins in Portugal in the 17th and 18th centuries and tells the story of how it developed and found a place in the hearts and minds of the people of Brazil. Get ready to discover: How Spain and France influenced the poetry. Beautiful narrative poetry from forgotten poets who deserve to be rediscovered. How the "cordel" spread from northeastern Brazil to the Amazon region, to Rio de Janeiro and Sao Paulo in the South, and later to Brasilia. Why these poems are still relevant today. And much more! Become a fan of a poetry that documents religious beliefs, views on national politics, and thoughts on morality. Mark J. Curran, professor emeritus at Arizona State University, taught Spanish and Portuguese Languages and Culture from 1968 to 2002. He is a world authority on Brazil's folk-popular poetry, and he has published twenty-five scholarly articles and seven books on the topic in the U.S., Brazil, and Spain.